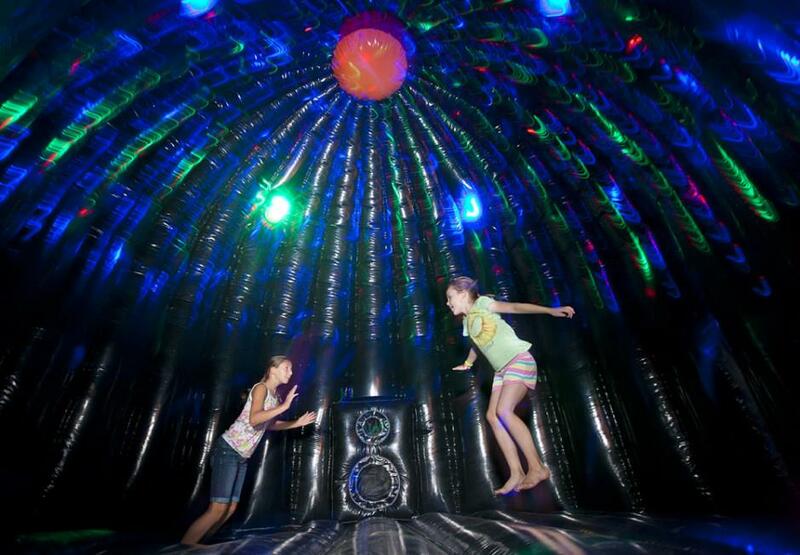 The Incredible Dance Party Dome, Inflatable includes a 4000 watt speaker were you can sync your phone, or use a memory stick with your favorite songs. 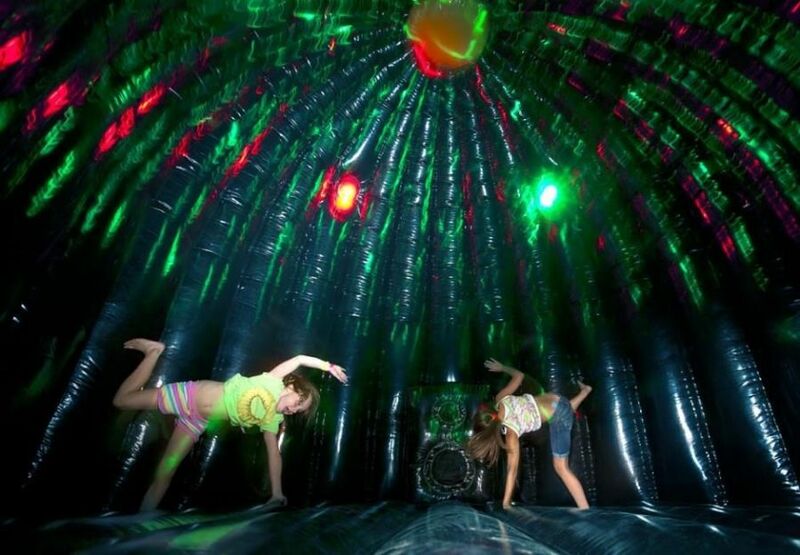 Dance dome also includes a Disco light and LED lights that change color with the music inside and out. It has 4 windows around for air flow, emergency exits, light and ventilation. Great for your next special event - lock in - After Prom or any high energy party.